RNAO has developed a comprehensive, interactive Champions eLearn course to augment the existing learning formats (workshops and webinar sessions) and to support increased accessibility through technology, both nationally and internationally. This eLearn is available at no cost to any user. the expansion, reach and dissemination of RNAO's Best Practice Guidelines (BPGs) and implementation resources. The RNAO eLearn course depicts a scenario that follows Nadia, a registered nurse, through the implementation of a best practice guideline in her workplace. Upon completion of the seven modules, participants will become a member of the RNAO Best Practice Champions Network. 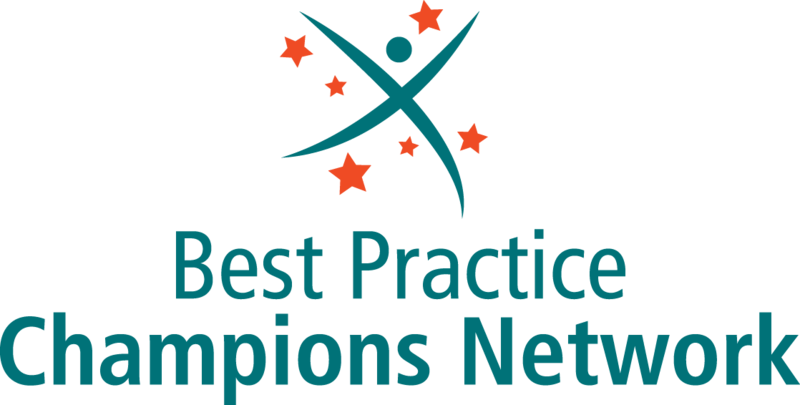 Funded by the Government of Ontario's Ministry of Health and Long-Term Care, all activities associated with the Best Practice Champions Network® are offered free of charge.